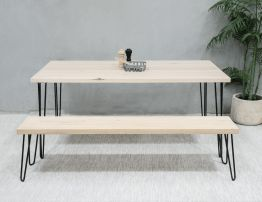 Here it is, the exceptionally well crafted tastefully designed Bernie Victorian Ash Wooden Dining Table that measures up superbly as the dining table option for you. 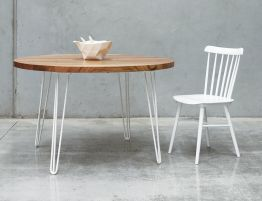 It is constructed by hand from Victorian Ash wood designed and manufactured in Australia. 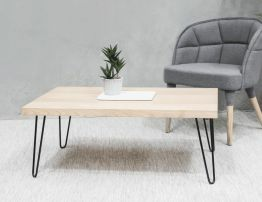 The hair pin legs are a true design statement that is bold and exciting but nether the less doesn't scream for attention allowing the mix use of materials to compliment each other elegantly. 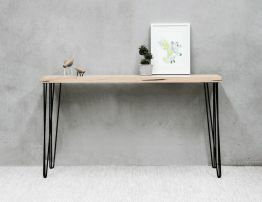 You will be the envy of all your friends with such a unique and beautifully custom made dining table, it will be hard to keep this secret. 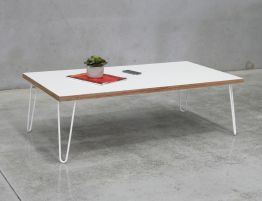 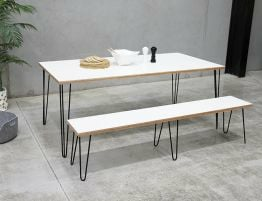 The style of such a wooden table is so much fun with the choice of black, white or exposed raw steel finished legs. 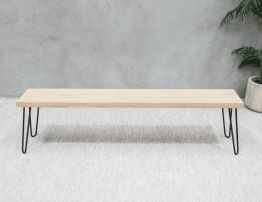 An affordable designer table that is light, relaxed and ever so pretty to look at, The Bernie hand made wooden table is a sublime piece of furniture.